Picture this: You’ve just moved to a new apartment complex, and you haven’t had a chance to get your own Internet connection set up yet. You have to use the public network provided by the apartment complex owner for a few weeks. While you are using the public network, you’ll need to check your bank statements and make purchases online. Anyone on the network can see your unsecured transactions. Sound like time to panic? No—just time to get a free VPN. Here’s another scenario where you might need a VPN. You are excited to watch the series premiere of your favorite television show. The problem is, the show is British and will only be streaming on the BBC’s UK channel online. You don’t have a cable TV subscription. You can’t view the premiere because the content is blocked in your country. This is another situation where a free VPN would really come in handy. Simply put, it stands for “Virtual Private Network.” A VPN tunnels traffic through dedicated connections and applies extra encryptions to your online activities. Using a VPN, you can view content blocked in your country by browsing from an IP address located in another country. You can enjoy the benefits of cutting-edge encryption, protecting your private transactions on a network you do not trust. You can get past censorship, accessing sites blocked by your workplace, school, or country. In short, the Internet is open to you, but your privacy is protected. There are a lot of free VPNs that run great on an abundance of operating systems, but some VPNs are limited to only a few. Below, you can find a list of VPNs according to different operating systems, including Windows, Mac OS, Android OS, and iOS. Some VPNs also have support for Linux, but that support is usually limited. According to net application browsing statistics, the vast majority of Internet users are still using Windows XP, Windows 7, or Windows 8/8.1. A relatively small percentage continues to use Windows Vista. Because Microsoft has such a huge share of the Internet using population, most free VPN programs are compatible with Windows. Here is a list of the best free VPN services for Windows. Hola is a minimalist program which is entirely free at the basic level and includes features for beginning and advanced users. With Hola, you can unblock most, though not all, sites. You are also confined to four hours a day. Upgrading to paid for $5 a month can lift both restrictions. All in all, this is a good choice if you are looking for a program to unblock some content or browse securely for a few hours, but not the best choice for a long-term free VPN solution. Try this program on Windows 7, 8, Vista, XP, 2000, or NT. The free version of Hotspot Shield is ad-supported, and allows you to browse the web anonymously with enhanced security and malware protection. This program is compatible with Windows 7, 8, Vista, and XP. Tip: Note that the free version does not work with video services like Hulu or Netflix, so if your main goal is to unblock streaming content, you will need to try another solution. Spotflux is a highly rated VPN that has a lot of great customer reviews. As with many other VPN services, free and paid versions are available. Like Hotspot Shield, the free edition is ad-supported. It is a great option if you want to encrypt your transactions for peace of mind. Spotflux automatically detects and blocks dangerous sites, and conceals your real IP address while you browse. Try it on Windows 7, 8, XP, or Vista. Tip: There are no bandwidth limitations, though you cannot use the program to stream on Hulu.com. VPNbook is an ad-supported VPN service. There is no paid version of the software, though there are two different types of free VPN accounts for different operating systems (Free OpenVPN is compatible with most operating systems). All transactions are encrypted using AES-256 and AES-128 protocols, making this a supersecure choice. Bandwidth is unrestricted, and the ads are relatively unobtrusive. You can get VPNbook on Windows 7, 8, Vista, XP, 2000 and NT. If you are interested in PPTP VPN, you will need to be a Windows 7 user. Leafy VPN is not actually a free VPN. It is a paid service with a 3-day free trial available. If you decide you like Leafy VPN after test driving it, you can purchase membership for as low as $5.70 per month (when you buy the annual plan). Leafy VPN offers competitive options for IP addresses and locations, security, and pricing. If you want a VPN that is free over the long term, Leafy VPN will not be much use to you, but if you are interested in paying for a service after a free trial, have a look. It is compatible with Windows 7, 8, Vista, XP, and 2000. CyberGhost is renowned for being a fast and reliable provider of VPN services. They offer paid packages, but have a basic free version as well. The free version of the program can be used indefinitely, and is available on Windows 7, 8, Vista, XP, 2000 and NT. The paid version gives you access to more servers and countries, and removes the ads. On the free version, you do get unlimited bandwidth, AES 256-bit encryption, and the option to choose any of 22 servers located in 14 different countries. Each time you connect, you will have to view an ad, and you will need to watch another every 120 minutes. Every three hours, you will automatically get disconnected and need to reconnect manually. It’s Hidden supports Windows 8 and Windows XP, with servers in six countries. This VPN service includes 128 bit encryption, and is currently available for free for users located in the USA and Europe. There are no bandwidth limitations. Paid plans are also available for users in other locations. The company’s site is a bit sparse on information, but their prices are quite low. UltraSurf is a VPN service originally developed to help Chinese Internet users overcome censorship and access the open Internet. UltraSurf is free, and is used by millions around the globe. It is a small, no-frills program that allows the user to browse anonymously and safely, and is perfect for unblocking websites and content. UltraSurf has a reputation for reliability, since the program has been the target of many blocking efforts over the year, and has overcome them. You can use UltraSurf on Windows 2000, XP, Vista, and 7. VPNium is another completely free program. No registration is required, and with it, you can browse anonymously and unblock websites and content. Premium users can pay for unlimited speed and access to more servers. While VPNium keeps the focus on their free program, they are supported by their paid subscriptions, so there are no ads on the free version. You can use it on Windows 7, Vista, or XP. VersaVPN offers free and paid VPN services. There is 15 days of logging on free accounts, and no logging maintained on paid accounts. You can use the free version as long as you want, even though it is referred to on the site as a “trial account.” With it, you can browse anonymously, unblock content, and enjoy increased security. Your data transfer and connection time are unlimited. Paying gives you access to additional protocols, port forwarding, and a larger array of servers. You have to pay for iOS or Android, but you can download the Windows version for free. While Macintosh is definitely Microsoft’s biggest competitor, the reality is that a much smaller percentage of users are browsing the web on Mac OS X than Windows 7, 8, 8.1, or XP. Still, OS X users account for roughly 7.38% of all users online according to net application statistics. As a result, many free VPN services which are available to Windows users are available to Mac users as well. Here are our picks for the top free VPN services for Mac users. Hola, the free, no-frills VPN program discussed in the section on Windows above, is also available for Mac OS X users. If you scrolled down to this section without reading the Windows overview, here’s what you should know about Hola. Hola has paid and free versions available. The free version limits you to four hours of use per day, and does not unblock all sites. If that’s all you are looking for, though, it may be a perfect solution for your short-term free VPN needs. Otherwise, consider one of the other programs below. Hotspot Shield is an ad-supported VPN which is available on Mac OS X. The program includes protection against malware, and helps you to browse the Internet safely and anonymously. The free version of Hotspot Shield is a great choice if you simply want to browse the Internet securely, but is not the best option for unblocking content. Tip: You cannot use Hotspot Shield with streaming video services such as Hulu or Netflix. Only the premium version supports these services. Spotflux is a well-known, reliable VPN program which is also ad-supported. Enjoy browsing on a secure Internet connection free of bandwidth limitations. Spotflux is available on Mac OS X, and is an excellent choice if you are looking for a fast, effective, and dependable free VPN solution. Tip: Spotflux may not be the best choice for unblocking content. The free version will not work on Hulu.com. This is another VPN which you can use for free on Mac OS X (you have to pay if you wish to use it on iOS, though). With the free version of VersaVPN, you can browse anonymously on a secure encrypted connection and unblock content from around the world. Connection time and data transfer are both unlimited. Note though that 15 days of logs are maintained on your activities with the free version. Upgrade to paid to get rid of the logs and gain access to additional features. Tip: The free version of VersaVPN has a speed restriction which does not make it adequate for video streaming services. According to net application browsing statistics, an estimated 41.58% of mobile Internet users access the net on an Android system. Browsing securely is particularly important when you are on a mobile device. There will probably be times when you are accessing the Internet on an unsecured public network—in fact, if you do a lot of web browsing on the go, you may do the majority of it that way. A free VPN service that is compatible with Android can help you to secure your transactions and keep your private data from turning into public data. Here are our top picks for free Android VPNs. ibVPN is a paid program, but it does come with a 15-day free trial which you can use to check out the service. This program gives you unlimited bandwidth, protects you from tracking, and maintains your anonymity as you browse. Your secure transactions will remain that way, and you also can access blocked content on sites like Netflix or BBC. The Android app on Google Play is rated with 4 stars out of 5, and has been ranked by more than 1,080 users as of the time this guide was put together, so it is a very popular app. Hola is a free VPN service which is also available for Windows and Mac OS X. Hola comes with some restrictions on the content you can unblock, and you can only use it for four hours a day, but considering you are downloading the app for your mobile device, you probably are not planning on using it for longer than that. It is a very popular app on Google Play, with more than 25,900 votes. The ratings have averaged out to 4 out of 5 stars. So this is a reputable and reliable choice for a free Android VPN. Even more popular for Android is Hotspot Shield, a free VPN service which is ad-supported and also recommended for Windows and Mac OS X. Hotspot Shield has more than 308,600 ratings on Google Play, averaging out to 4 stars out of 5. Hotspot Shield is a reliable, powerful program which is great for your mobile device. Tip: Note that you cannot use Hotspot Shield to access video services like Hulu and Netflix. Spotflux is a highly rated app on Google Play, not as popular as Hola or Hotspot Shield, but still regularly downloaded. More than 8,250 users have rated Spotflux with an average of 4 out of 5 stars. Spotflux is renowned for its reliability, and can encrypt your transactions for safe browsing on public networks. Tip: Note that the free version does not allow you to access content on Hulu.com. DroidVPN has been specially developed for Android phones, as you might guess from the name. This free VPN service has more than 22,750 votes on Google Play, and an average rating of 4 out of 5 stars. You can switch servers as often as you want and enjoy the benefits of dynamic IP addresses. DroidVPN unblocks content and encrypts your transactions. There are no speed restrictions. One reason to consider DroidVPN over other free VPN services is the fact that it was designed specifically for Android, so you shouldn’t run into as many strange bugs and compatibility issues as you might with other programs. 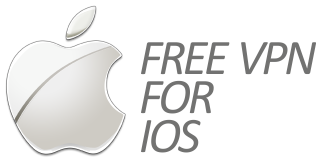 Tip: This app works with GPRS and WiFi, and allocates 100MB of data free for all free users! iOS is the most popular operating system for mobile devices according to net application browsing stats. iOS users come in at around 48.34%, narrowly beating out Android users at 41.58%. And it’s no wonder; Apple’s iPad and iPhone mobile devices are all the rage with their cutting edge features. When you browse the Internet on your mobile device though, you are often away from home. Accessing the Internet on public networks is a privacy risk. With a free VPN though, you can protect yourself from prying eyes. Here are the top two free VPN services for iOS. Spotflux is one of our favorite free VPN programs, and we readily recommend it for Windows, Mac OS X and Android as well. Spotflux is reliable and offers users top-level encryption. There are more than 60 ratings on the iTunes store for the Spotflux app, averaging out to 4 stars out of 5. Tip: The free version of Spotflux does not allow you to view streaming content on Hulu.com. Onavo Protect is a free app which allows you to add a higher level of encryption to your mobile data traffic. The app also will warn you when you are connecting to an unsecured network or when you are attempting to share information over an unsecured site. If the app detects a site which may be dangerous, it will block it automatically and inform you. If your main concern while browsing online on your iOS device is privacy, Onavo will help you keep your data and device safe from hackers. The Onavo Protect free VPN app on iTunes has received more than 750 votes and has been rated with 4.5 out of 5 stars, making it one of the most highly rated apps we have listed. If you do a lot of streaming or video gaming online, you are going to need a VPN that allows you to experience the Internet at its best with unlimited bandwidth. Here are our picks for the best unlimited bandwidth free VPNs. Hola: This free VPN gives you unlimited bandwidth for streaming. You are limited in terms of time, however; you can only use Hola for four hours a day unless you upgrade to premium. Spotflux: This highly rated, reliable VPN service doesn’t limit your bandwidth in any way. Note however that you cannot use it on Hulu.com. Onavo Protect: This is a free VPN service with unlimited bandwidth that puts an emphasis on security features like encryption, blocking of malware and phishing sites, and other safety precautions. CyberGhost VPN: This free VPN comes with unlimited bandwidth, AES 256-bit encryption, and access to 22 different servers around the world. The service is ad-supported, but you can use it as long as you want. It’s Hidden: If you are living in the USA or Europe, you can enjoy unlimited bandwidth with this service that includes 128-bit encryption and servers from around the world to choose from. UltraSurf: This completely free VPN service was originally developed to help Chinese users cross the Great Firewall of China safely and securely to view blocked content. The service includes unlimited bandwidth and is now open to users around the world. AceVPN SmartDNS: AceVPN is a premium VPN provider, but they have also developed a service called SmartDNS to help users to unblock streaming television services online such as Hulu, Netflix, BBC iPlayer, and others. The SmartDNS program is free with the purchase of either AceVPN Premium or Ultimate. If you do not do a lot of streaming, downloading, or video gaming, you may not need unlimited bandwidth. If so, that opens the doors to enjoy an abundance of other exciting features from free VPN services that feature limited bandwidth. What these VPNs lack in terms of bandwidth, they make up for in terms of other features and services. SumRando: This free VPN service is available for users on Windows or Android. Bandwidth is limited to 1 GB on the free version, which is not bad at all. If you upgrade to premium, restrictions are removed. This is a great way to secure your connection and browse anonymously. Hotspot Shield: This is a popular and reliable VPN service we recommend for most operating systems. Hotspot Shield is limited in terms of heavy traffic video services and VOIP. You can’t use the free version for watching Hulu or Netflix, Pandora, Skype, or so on, but the encryption is great, as is the stability and reliability of the platform. Leafy VPN: This is actually a paid program with a three-day trial for free. If you are prepared to pay for a quality VPN service over the long run, but simply want to test drive one for free, you may like Leafy VPN. Security Kiss VPN: This free VPN is limited to 300 MB/day. This program has no ads, and you can use it for free forever. Unlimited switching between servers is allowed, and you can get customer support from a live person, even though you are not a paid member. If you upgrade, you can get rid of the bandwidth restriction. Private Tunnel: This free VPN service is limited to 100 MB/day. It is a popular VPN for Windows, Android, iOS and Mac OS X. The software encrypts your connection and protects you from malware. Using Private Tunnel, you can unblock content around the globe. ProXPN: The free version of ProXPN limits you to 300 Mbps. Most of the features which are included with the premium version are included in the free version, though. Note that your activities will be logged however, and logs will be kept for 14 days unless you upgrade. Faceless Me: This free VPN service provides security and anonymity to you while you browse the web and unblock regional content. The free version is limited to 2 GB per month, 1 GB per month if you are on a mobile device. If you upgrade the program to premium, you can remove the traffic caps from all devices. Speed is also restricted on the free version. VersaVPN: We recommend this program for a number of different operating systems. The free version includes a limitation of 300 Kbps. This is not adequate for streaming video services like Hulu.com. Hide Me: This free VPN service supports a single simultaneous connection (perfect if you want to use it with two devices), high, but not unlimited, bandwidth, and has a traffic cap of 2GB per month. Upgrade to the Plus package, and you get 75 GB per month and unlimited bandwidth. The Premium package has unlimited data transfer and unlimited bandwidth. If you are interested in a paid VPN service, and you are looking for a paid VPN you can try for free before you buy, you may be interested in one of the programs listed below. While these programs are not free, they do give you the opportunity to test drive risk-free before you purchase. CactusVPN: This VPN service features anonymous, secure browsing, and includes Smart DNS for speedy surfing and intelligent unblocking. You can unblock content in multiple countries all at the same time without switching settings. This program comes with a free trial period lasting 24 hours. There is also a 30-day money back guarantee on your purchase. Private WiFi: With this VPN service, you get 128 bit data encryption, and you can protect up to 5 devices for one flat rate. There is a 10-day free trial and a money back guarantee. Ten days is actually pretty long for a free trial for a VPN service, so this is actually a rather exciting option. This would definitely give you plenty of time to draw a conclusion about the paid service. Mullvad: This free VPN provides you with unlimited bandwidth, data volume, and speed, and includes high quality encryption for your data. The free trial is extremely brief, but you can try the product for three hours for free before you buy. Boleh VPN: There are a number of different pricing package available for this VPN service. The 7-day “trial package” does carry a cost, but you can get free access for one day if you contact customer service directly to set it up. Bandwidth is unlimited, and the company supports game hosting in Malaysia at an additional cost. If you only need a free VPN service for a couple of hours (or less), you may be fine using one of these free VPN services with limited time of use. These services will disconnect you automatically after the allotted time has passed. This would be very inconvenient if you were streaming or gaming or doing other activities for longer time periods, but may be perfect if you just want to unblock an hour-long TV show or check your email at a blocked domain at your workplace or school. Here is our list of the best free VPNs which limit your time of use. VPN Reactor: This VPN service will disconnect you every 30 minutes if you are using the free version. You then need to wait another half hour before you try connecting again. There is a paid version you can upgrade to if you want to get rid of the caps on time and bandwidth. This program would be ideal for quick activities checking your email at work. Cloudnymous: Cloudnymous is a paid VPN service which allows users to connect for free for an hour per day to one of the servers which are available for that purpose. This option would work to watch a one-hour program or do some quick tasks online like checking email. Your Freedom: This is a paid service. Similar to the offering by Cloudnymous above, you can access one of the free servers for a limited time each day. You get two hours, but you can only use one continuously. After that you will be disconnected and need to connect again later. Data is unlimited. There are times when you may need to access the Internet using an IP address in a particular country. For example, let’s say you want to watch content on the BBC iPlayer. You cannot do that from an IP address in the USA. You need an IP address in a country that the BBC has unblocked (like the UK). Other services in other countries may require you to have an IP address in Asia, South America, or another part of the world. Here you can find the best free VPN for a country of your choice. The VPN services listed in this category only offer servers in the USA. If you need to access the Internet through a random USA IP address, any one of them will work great. Hotspot Shield: One of our most highly recommended free VPN services, this fast, reliable program will encrypt your data and provide you with an IP address based in the USA. Note that this is not an ideal option for streaming video. Spotflux: This is another VPN service we recommend highly in many categories for securely encrypted browsing. This is not the best option for streaming video either. Servers are located only in the USA. Looking for a free VPN service which hides your identity behind a UK server? Check out these options (also look at the entries under Multiple Countries for other options). Get UK VPN: This VPN service is 100% free, and allows you to access sites like BBC Video and Skye to Go Video UK. Expat Shield: This ad-supported VPN service assigns you an IP address in the UK. It is easy to use and install, though it may be a bit too invasive. We only have one Sweden-only VPN service on our list, and it is actually one you should consider steering clear of. Privitize VPN: This VPN service will assign you a server in Sweden. Our research indicates however that it is incredibly invasive and causes browser redirect problems and other undesirable results. Like Expat Shield, it is probably a program you want to avoid. Look in the section below to find better choices. In general, multiple countries is a feature you want to look for in a VPN. The more countries are available to you, the more content you can ultimately unblock. Some services will even be able to unblock content specific to more than one region at a time. Here are some options to look into. Faceless Me: This free VPN limits you to one to two GB per month (depending on whether you are using a desktop or mobile device). Servers are located in the USA and Europe. ProXPN: This VPN service limits you to 300 Mbps, but otherwise has a strong set of features, even for the free version. A great option if you want to access the Internet through USA or European servers. VPNium: This is a registration-free VPN program you can use to anonymously surf the web. Servers are located in the USA and Europe. You can access even more servers and IP addresses if you upgrade to the paid version. VPNbook: With this service, you can access servers in the USA and the UK. We recommend VPNbook in a number of categories, so this is definitely one to check into. Tunnel Bear: This service includes servers in seven different countries. You can access the web using an IP address located in Canada, the USA, the UK, Germany, Japan, France, the Netherlands, or Italy. Australia is available for paid users. CactusVPN: This VPN service includes 12 servers in the USA, UK, and the Netherlands. Security Kiss: Access servers in the USA, UK, France, and Germany for free. If you pay, you can access servers in additional countries. There are 15 countries around the world available at the top tier. Mulvad With this free VPN, you can access a server in the USA, Sweden, Germany, or the Netherlands. Its Hidden: Servers for this free VPN are located in the USA and ERuope. Boleh VPN: As mentioned previously, this is a paid VPN service with a one-day free trial available upon request. You can access servers in the USA, the Netherlands, Germany, Canada, the UK, France, Hong Kong, Luxembourg, Sweden, or Switzerland. Hide Me: You are limited to 2 GB traffic per month with the free version of Hide Me. Servers are available in the Netherlands and Romania. Already figured out a VPN you’d like to download? For your convenience, we’ve pulled together direct download links for the most popular and highly recommended free VPNs. Download from any of the links below to browse the Internet privately and gain access to blocked content! Pros: A great option if you want something simple, fast and free. Cons: Doesn’t unblock all content, limits usage to four hours a day. Pros: Secure, anonymous, and highly rated. Cons: Ad-supported, does not allow video streaming. Pros: Fast, stable, and highly rated. Cons: Does not allow video streaming on Hulu.com. Pros: Most of the features included in the paid version are also in the free version. Cons: Limited to 300 Mbps. Pros: Emphasis on security, designed specifically for mobile devices. Very highly rated. Cons: Not useful for desktop computers. Pros: Fast and reliable; unlimited bandwidth even on the free version. Cons: You have to watch ads at regular intervals. Pros: Reliable and has a strong reputation. Cons: Not a lot of options available for advanced users. Now you have some idea where to get started in your quest for the perfect free VPN service. Whether your main purpose is to access blocked content or to secure your connection for safer browsing, there is a VPN that is just right for you.